Multi Spider (ORG4572) is a fully-integrated, highly-sensitive GNSS module. Designed to support ultra-compact applications such as smart watches, wearable devices, trackers and digital cameras, Multi Spider is a miniature GNSS receiver that continuously tracks all satellites in view, providing real-time positioning data in standard NMEA format. Measuring only 7x7mm, the Spider is a fully integrated GNSS module. 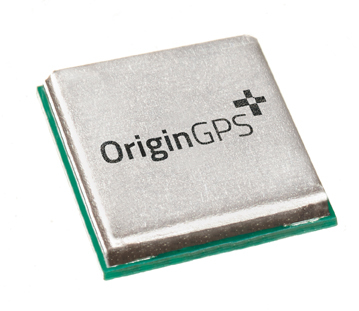 Unlike GNSS modules of similar size, it includes LNA, SAW Filter, TCXO and RTC crystal, a power management unit as well as a RF shield. The Spider module offers superior sensitivity and outstanding performance, achieving rapid time to first fix (TTFF) in less than one second, accuracy of approximately one meter, and tracking sensitivity of -165dBm. Spider’s architecture can detect changes in context, temperature, and satellite signals by maintaining and opportunistically updating its internal fine time, frequency, and ephemeris data, thereby achieving a state of near continuous availability, while consuming mere microwatts of battery power.